You're looking for gold at the end of a rainbow? Well, you found. It's me. 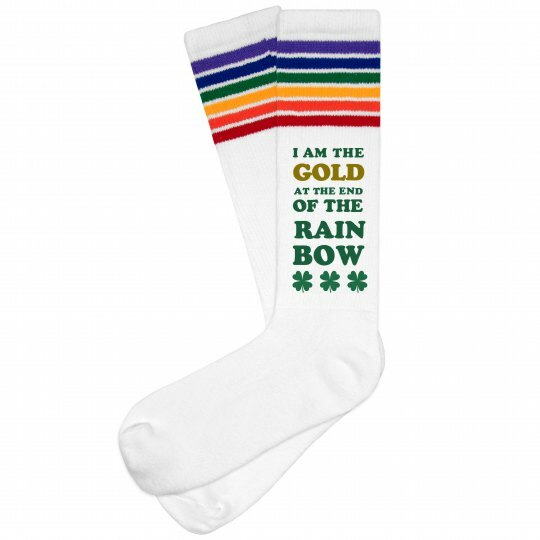 I've got the rainbow striped socks. I've got the messaging. I even have a little bit of green ink printed on these socks so I get to wear these on St. Patrick's Day without getting pinched. Score one for me.